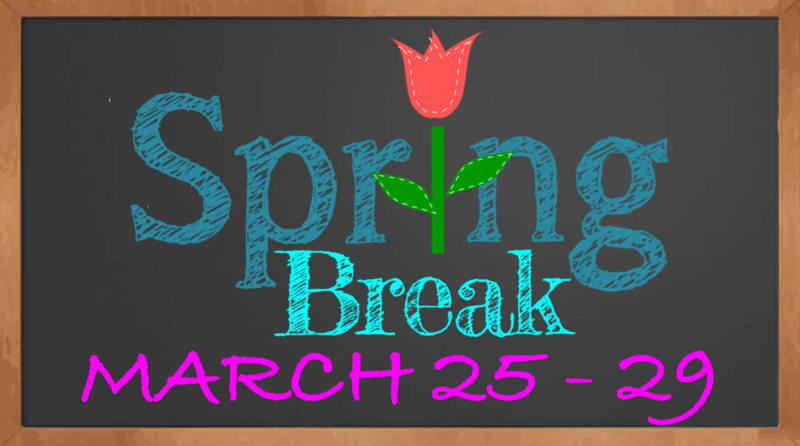 We hope you have a fun and relaxing Spring Break! 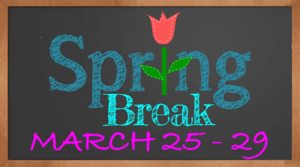 Students return on Monday, April 1st. Please note there is NO SCHOOL on April 19th and April 22nd due to Easter on April 21st.